This page features a Map Of Illinois Counties, along with useful links to other state maps. Scroll this page to find fun facts about the state of Illinois, and links to other free printable items. 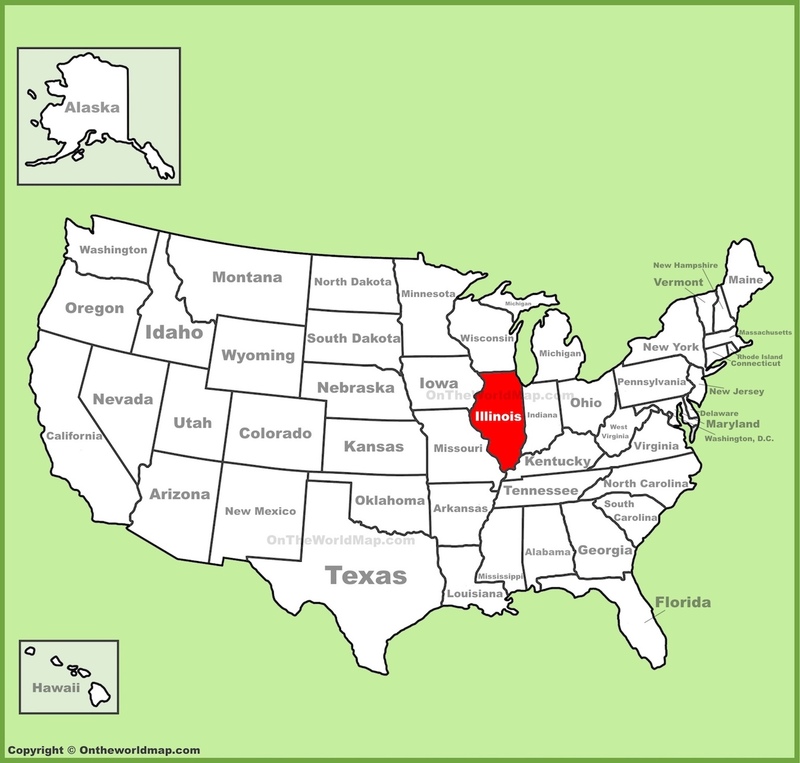 In 1818, Illinois became the 21st state admitted to the union. Today, the state of Illinois is home to nearly 13 million people, with most of them living in Chicago. The Illinois state capital is not Chicago, but Springfield. The world's first skyscraper was built in Chicago in 1885. Today, Willis Tower is one of the world's 10 tallest buildings. The first public aquarium opened in Chicago in 1893. The first McDonald's opened in Des Plaines, Illinois. 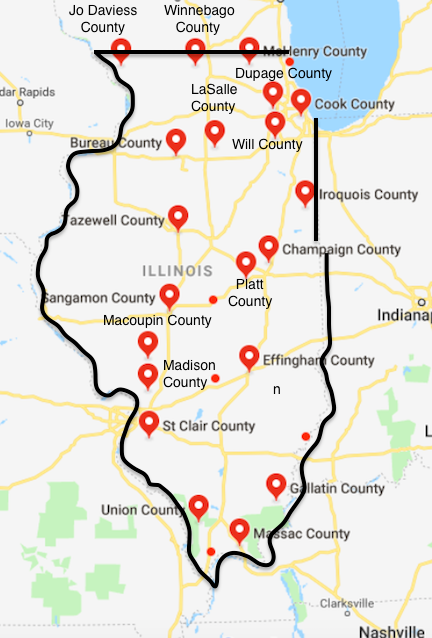 Illinois has 102 counties. Scroll down for a complete list. Illinois has more "vanity" license plates than any other US state. The University Of Chicago opened on October 1st, 1892. The Chicago public library houses more than 2 million volumes. On St. Patrick's Day, the Chicago River is dyed green. Alton, Illinois was home to Robert Wadlow, the tallest man who ever lived on earth. Click here for a Free Printable WORLD MAP.